Hello again, Mrs Dud here. So, last time I introduced you to myself and the reason I’ve taken over the blog from Dr Dud (who sadly and tragically passed away on 28th January 2016). We have now had the funeral, or rather Celebration of his life and what a day it was! Thank goodness we had booked the larger chapel at Worthing Crematorium as upwards of 150 people gathered last Friday morning (19th February) – the vicar jokingly said that I had told him it would be ‘just’ family and a few close friends! 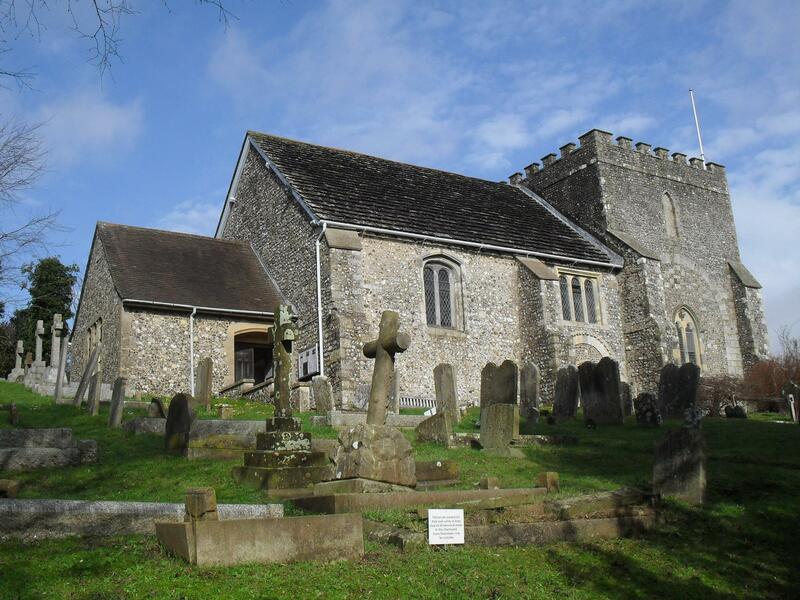 After the service there we all headed off to St. Nicholas Church in Bramber (well we physically had to leave Dud behind but I know he was still with us). St. Nicks church was a subject of an earlier blog by Dud, and you can find it here. Either if you know the church, or if you look on Dud’s blog, you will see that it is not that large a building. However, thanks to the vicar and a few friends it was slightly reorganised so that we could seat 150 people. Which, as it turns out was not enough ….. it was standing room only! Now, at St. Mary’s House Toby and I made brief speeches and I then invited everyone to collect a copy of Dud’s book of his blog (‘Have you got the T-Shirt’ .. still available on Amazon by the way) and an ‘I am Spartacus’ badge. Why the badge I hear you ask…? Well, to keep up the blatant publicity for earlier blogs by Dr Dud, there was one on, yes you’ve guessed it, Spartacus. In fact under the category of ‘Hollywood Fact or Fiction’ just one area that Dud was interested in. 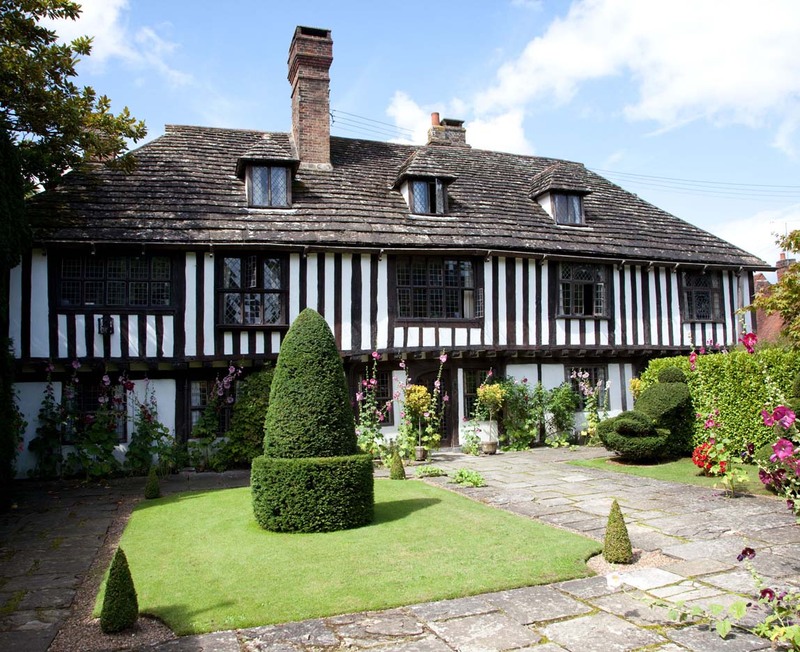 Under these categories, he would take a well-known Hollywood blockbuster and see if there was any connection between what you saw on the silver screen and reality – or if indeed there was ever any reality anyway! 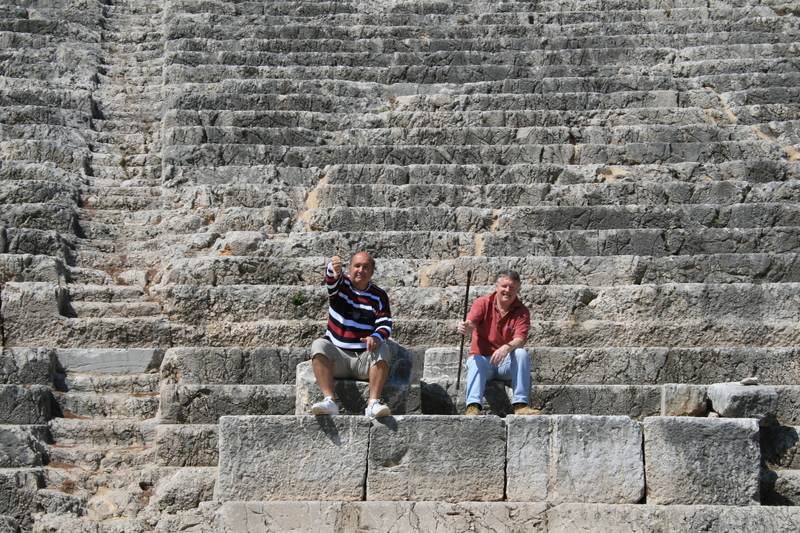 Fast forward two years to 2010 when we again went on a holiday adventure with Laurance and Jackie, this time to Turkey. We covered almost the entire west coast of Turkey from Istanbul down to Bodrum in 9 days! The main purpose of the trip was a visit to the site of Troy, which held much fascination and interest for Dud and so it was long overdue that we go there. I could tell you the story about how we arrived at the ‘hotel’ just by the site of Troy only to find that the description of ‘hotel’ was a slight exaggeration! Or I could tell you that when we went down to get some supper, we asked the young lad there if we could see the menu…. He duly handed out menus and then 5 minutes later collected them in again without a word about whether we wanted to order anything or not. Well, I suppose we had only asked to ‘see’ the menu! 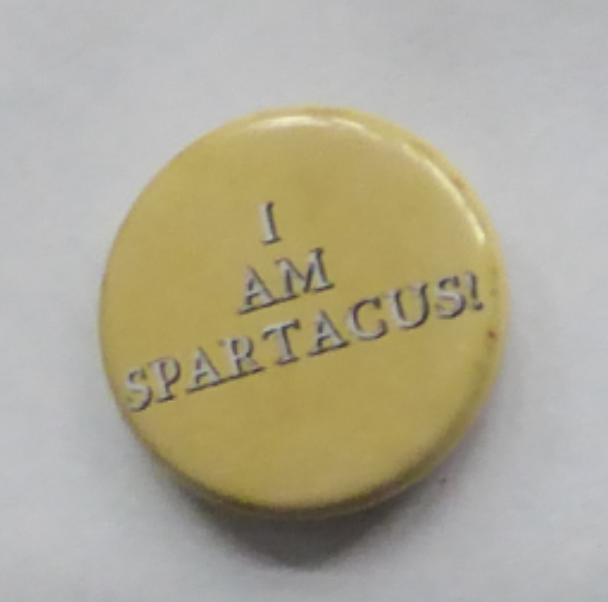 However, the reason for mentioning the trip is that at the very start, Laurance presented us each with an ‘I am Spartacus’ badge which we all wore for the duration of the trip and the phrase was often recounted, usually over, or after, a glass of wine! It was only right, therefore, that Dud should wear his ‘I am Spartacus’ badge for his final journey, and in memory of many great times with many, many friends we decided that everyone present at St. Mary’s on 19th February should have their own badge too! I know, it sounds strange, but after a couple of glasses of wine, my sister and her friend thought it sounded a fantastic idea and I got a phone call to tell me that 150 badges were ordered and on their way to me! Newer version, but less rare ….. Anyhow, it seemed to work and almost all of the badges that were made were taken and worn…some were even found on the floor of the pub next door by rather surprised bar staff! So, there you have it….and if you do happen to find an orange coloured ‘I am Spartacus’ badge then you will know where it came from and can think of Dud. Next time … … .. I’m not sure at the moment, but hopefully something you will find interesting! Thank you for this. 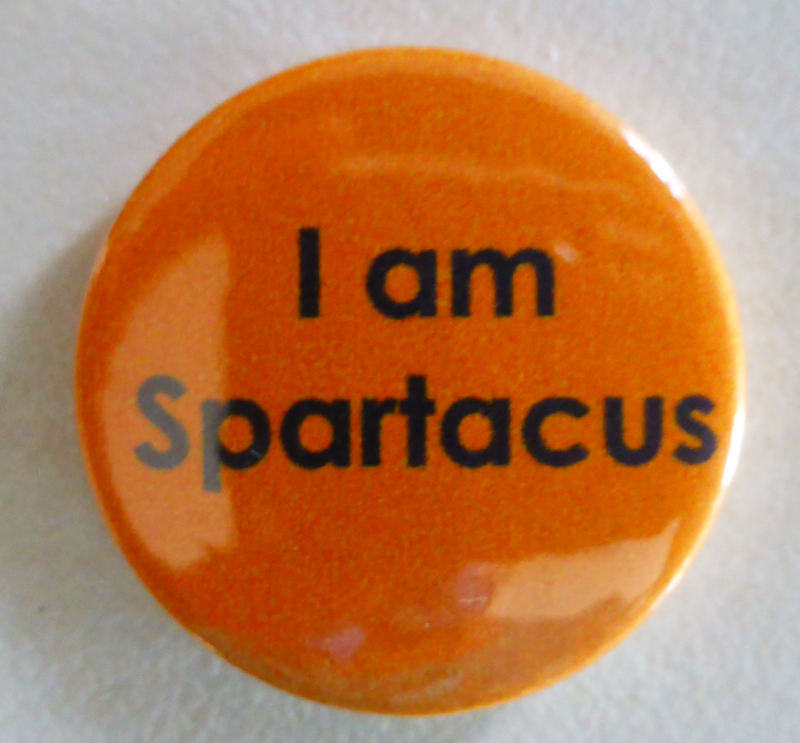 I’m sure you’ll like to know that at the USAS talk on Thursday, at least 3 ‘I am Spartacus’ badges were on display as we drank a toast to ‘Dear Duds’. I’m not able to stand for more than around 10 minutes at a time any more which was why I didn’t come over to the ceremonies and party, but I heard that ,under the circumstances, everyone had a good time. Be sure to look after yourself.